Spell Book Cover hard cover protects the back and sides of your phone from accidental bumps, drops and scrapes. The tough plastic shell will keep your Samsung Galaxy S9+ safe from accidents. Our Samsung Galaxy S9+ Phone Case offer easy snap-on attachment for a perfect fit and give you quick and easy access to all your phone's features. ● Superior image quality printed on the back of the case. 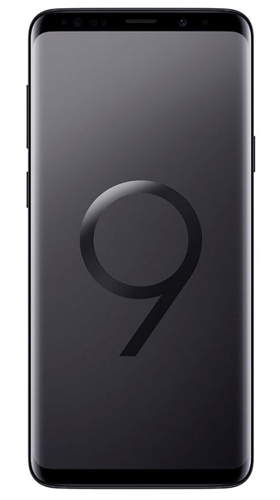 Samsung Galaxy S9 Plus, S9+ Dimensions : 157.70 x 73.80 x 8.50 mm. Samsung Galaxy S9 Dimensions : 147.60 x 68.70 x 8.40 mm. Samsung Galaxy S8 Plus Dimensions : 159.50 x 73.40 x 8.10 mm. Samsung Galaxy S8 Dimensions : 148.90 x 68.10 x 8.00 mm. Samsung Galaxy S7 edge Dimensions : 150.90 x 72.60 x 7.70 mm. Samsung Galaxy S6 edge plus Dimensions : 154.40 x 75.80 x 6.90 mm. Samsung Galaxy S6 edge Dimensions : 142.10 x 70.10 x 7.00 mm. Samsung Galaxy S5 mini Dimensions : 131.10 x 64.80 x 9.10 mm. Samsung Galaxy S3 mini Dimensions : 121.60 x 63.00 x 9.90 mm. Samsung Galaxy S10+, S10 Plus Dimensions : 157.60 x 74.10 x 7.80 mm. Samsung Galaxy S10e, S10 Lite Dimensions : 154.80 x 75.80 x 8.00 mm. Samsung Galaxy S10 Dimensions : 149.90 x 70.40 x 7.80 mm. We will gladly provide customers with custom quotes for large quantity, bulk orders. Please contact our Customer Service Team for a custom quote. Please read through our Returns Policy.